Charles inherited the persistent financial problems of his father, King James I (James VI of Scotland): the refusal of Parliament to grant funds to a king who refused to address the grievances of the nobility. His authority as King, Charles I held the view that all his subjects should obey him as God's Lieutenant on earth - the ancient doctrine of Divine Right. He had little regard for Parliaments, using them as mere instruments of royal will, summoned to give their assent to royal decisions and to grant money the government needed for the administration of the realm. More and more insistently Parliamentarians were claiming the right to be consulted on important affairs of state, not to direct policy but to at least have their say on its formulation. His expenditure on his court and his picture collection greatly increased the crown's debts causing a crippling lack of money. Three times summoned and three times dissolved through 1625-1629, Parliament went the next 11 years without being summoned. Charles financed his reign by selling commercial monopolies, peerages and baronetcies and extracting monies through various taxes, threatening those who refused to pay with imprisonment. However, this period was not without some advances for the nobility, in 1628 Charles was forced to accept a Petition of Right which forbade the levying of taxes without parliamentary consent. Charles was also deeply religious. He favoured the high Anglican form of worship, with much ritual, while many of his subjects, particularly in Scotland, wanted plainer forms. In 1640, Charles attempted to force his High Church practices and a new prayer book on the Scots. This resulted in a rebellion bringing an abrupt end to Charles' years of personal rule. As a Scottish army marched into England, another parliament was essential as Charles' forces were ill prepared due to lack of proper funds. Members, of what was to be known as the Long Parliament, assembled at Westminster. 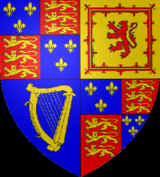 A whole series of measures were introduced by parliament limiting the authority of the Crown while increasing its own. These passed without undue difficulty, but further disagreements and plans for transferring military command from the Crown to Parliament (Militia Bill) and radical religious changes curbing the power of the bishops and replacement of the King’s council with parliamentary ministers, proved too much for Charles. Leading a party of swordsmen, Charles marched to Westminster, entering the Commons in a failed attempt to arrest five Members of Parliament, who had fled before his arrival. This struggle for supremacy brought matters to a head and war was now inevitable. Finally, on 22 August 1642 at Nottingham, Charles raised the Royal Standard calling for loyal subjects to support him (Oxford was to be the King's capital during the war). The Civil War, called by some 'this war without an enemy', had begun.